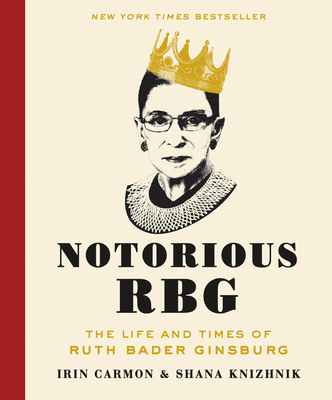 Notorious RBG: The Life and Times of Ruth Bader Ginsburg (Hardcover) | Eagle Harbor Book Co.
#tRuth! Who could not love this bio of an awesome Supreme? Ruth Bader Ginsburg’s life as a lawyer (and teacher), culminating in her appointment to the Supreme Court, is told in a hip-hop meld of scrapbook and good reporting. Her steady and ultimately remarkable story is well told here, ably aided by the tributes in cartoon, tattoos, Halloween costumes, and genuine affection from across generations.